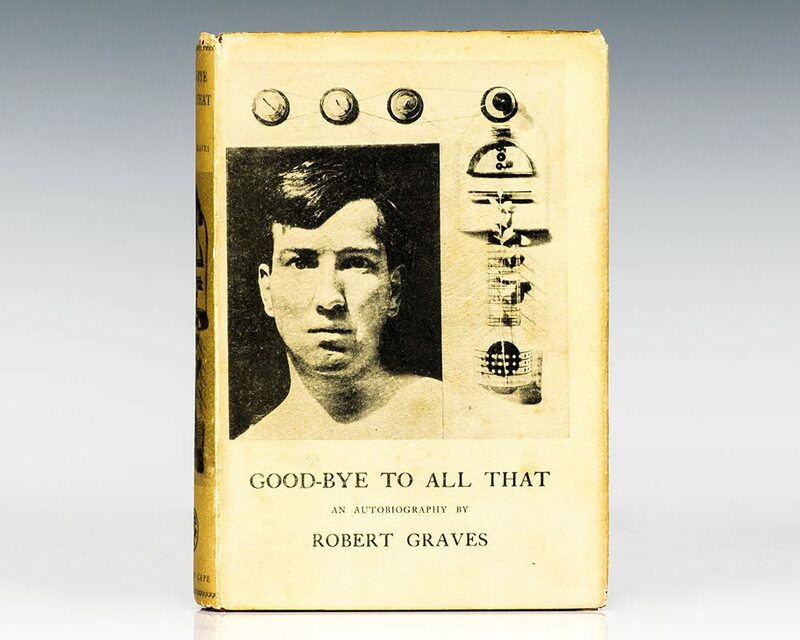 First edition, first issue of Graves’ classic autobiography with Siegfried Sassoon’s poem on pp. 341-343. Octavo, original red cloth, frontispiece of Graves, illustrated with maps and photographs. Near fine in a near fine dust jacket with some light wear to the crown and foot of the spine. Jacket design by Len Lye. Photography by Alfred Cracknell. Housed in a custom clamshell box. Good-Bye to All That bids farewell not only to England and his English family and friends, but also to a way of life. Tracing his upbringing from his solidly middle-class Victorian childhood through his entry into the war at age twenty-one as a patriotic captain in the Royal Welsh Fusiliers, this dramatic, poignant, often wry autobiography goes on to depict the horrors and disillusionment of the Great War, from life in the trenches and the loss of dear friends, to the stupidity of government bureaucracy and the absurdity of English class stratification. Paul Fussell has hailed it as "the best memoir of the First World War." London: Faber and Faber Limited, 1948. First edition of Graves’ classic work. Octavo, original cloth. Near fine in a very good dust jacket with a chip to the spine. First editions in the original dust jacket are rare. Good-Bye To All That: An Autobiography. New York: Jonathan Cape & Harrison Smith, 1930. First American edition of Graves’ classic autobiography. Octavo, original red cloth. Advanced copy in the dust jacket without the price and the Paris Gun listed on the back flap, “To be published in February Probable Price, $3.50”. Near fine in a very good dust jacket with some light wear to the crown and foot of the spine. First edition of Graves’ classic work. Octavo, original cloth. 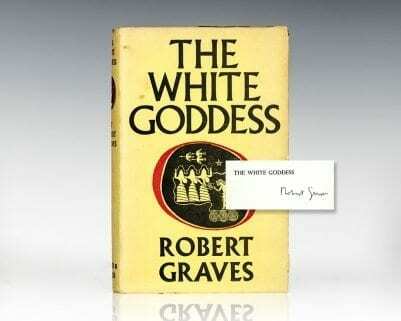 Signed by Robert Graves on the half-title page. Near fine in a near fine dust jacket with light rubbing to the extremities. Rare and desirable signed.